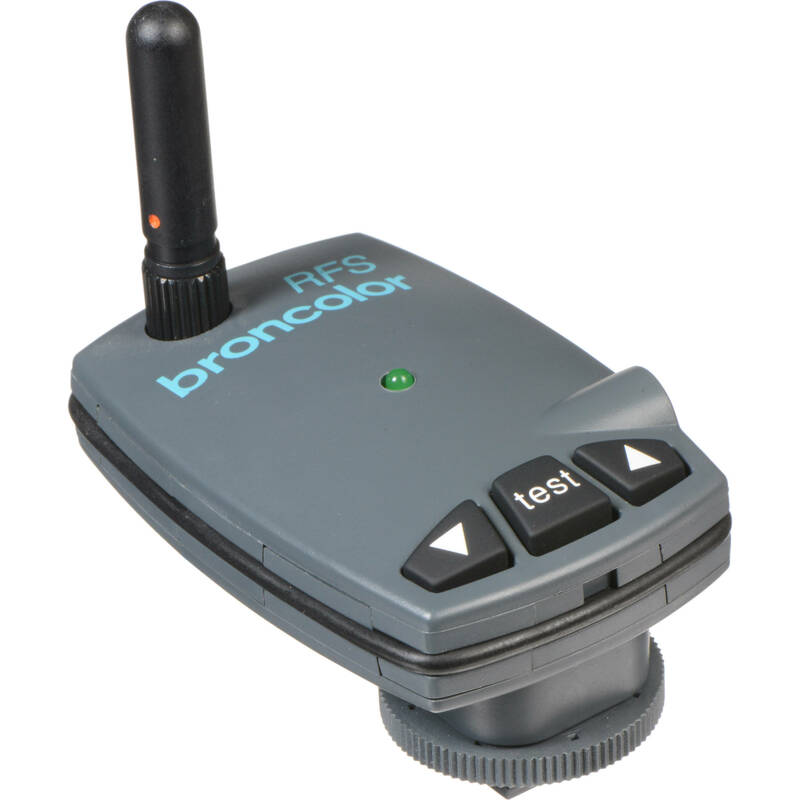 The RFS (Radio Frequency System) enables Broncolor users to have complete wireless control over their Broncolor studio. Place this transmitter onto any camera's hot shoe or attach it via the camera connector cable and instantly fire an RFS compatible power pack or monolight. The transmitter may also be connected to a computer via a USB cable to work with the Broncolor Studio Software (available separately), allowing a digital photographer total computer control. Approximately 50 yard outdoor range. Uses a lithium battery that has a life of approximately 5 years. Box Dimensions (LxWxH) 6.0 x 5.6 x 3.6"
Can I use it with Broncolor's MOBIL Battery Pack Mark I ? The RFS Transmitter will only fire Broncolor power packs with an RFS receiver built into it, like the Broncolor Mobil A2R or the Grafit A2 RFS. To replace the battery on the Broncolor RFS Radio Slave Transmitter, you must first remove the rubber gasket which surrounds the entire body. You can do this by pressing upward on it. You would then pry open the top panel and gently remove the battery. how do i know which number (0-9) i have to chose on the bottom (wheel) of the transmitter? When ordered from the factory there is a silver sticker that designates the selected channel number. If this has fallen off, please contact the broncolor service point nearest you. That RFS Radio Transmitter is for the older Broncolor lights and does not work with the units made today that have a receiver built in. The new version which is not backward compatible is the RFS 2.The link for both the new and old version is, http://bhpho.to/1lKqyNLIf the flash or pack does not have a built in receiver and not all of them do then you need to get a receiver for it so you can use a transmitter.